Black men have to deal with various issues when shaving because of the characteristics of their facial hair. Choosing the wrong shaving device may lead to unpleasant shaving experiences such as leaving nasty shaving bumps. Finding the best electric shaver for black men requires one to understand that they have sensitive skin and curly hair. And since there are many electric shaver brands on the market today, each has different specifications. Therefore, we have narrowed down a list of electric shavers according to their market ratings to help you find the best electric shaver for black men. The Panasonic Arc5 Electric Razor is an ideal choice for bearded black men. This award-winning razor is fitted with a 5-blade shaving system with distinguished 30◦ blades to enhance the shaving proximity. This electric razor also features a high-performance linear motor that offers 14,000 cuts per minute for efficient shaving. The electric razor has Panasonic Arc5 sensors that detect your beard density. 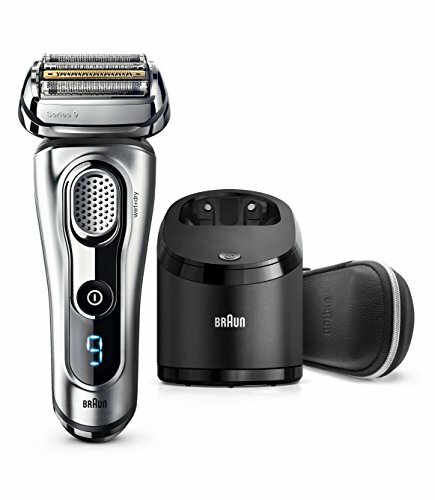 These sensors enable it to attune its cutting power automatically to deliver a comfortable shaving experience. It also features a 10-stage LCD to check shaver status. Moreover, it comes with a travel pouch and a travel safety lock so it is great to take with you when you travel. This razor also has a pivot head to allow it to move seamlessly across your face. An added feature on this electric shaver is the pop-up trimmer that helps to detail your mustache and sideburns. 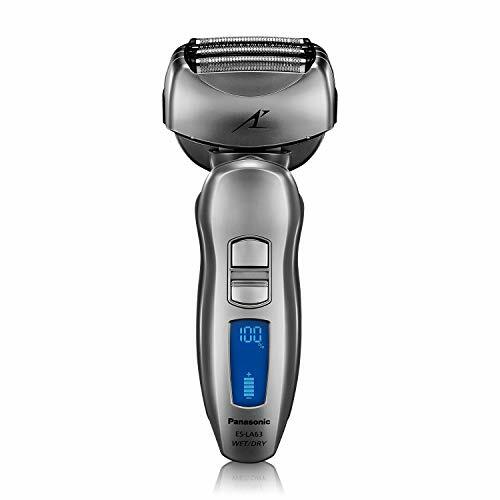 The Panasonic Arc5 is most suitable for experienced people, for wet or dry shaving. The 790cc is the best electric shaver for black men looking to get a close shave because it automatically adapts to your beard to provide an efficient shave. Interestingly, this smart shaver comes with 4 synchronized shaving elements that cut hair in one stroke. The shaver is efficiently designed to deliver 10,000 micro-vibrations courtesy of its innovative sonic technology. Moreover, its ActiveLift feature allows it to trim even hard to catch hair on your face. This electric shaver also includes an autosensing motor that lets you shave different levels of beards with ease. It also comes with a cleaning and charging unit controlled by the press of a button. Moreover, it can condition and lubricate itself. This electric shaver is ideal for black men that always like to look their best, especially those in office jobs because it delivers a close shave. This ergonomically designed electronic shaver is ideal for giving black men a sharp look. This shaver is designed to adjust itself to move seamlessly through the curves on your face to deliver a smooth, clean shave. This quality is enhanced by the shaver’s GyroFlex 2D contour-following system and its low-friction SkinGlide shaving surface. 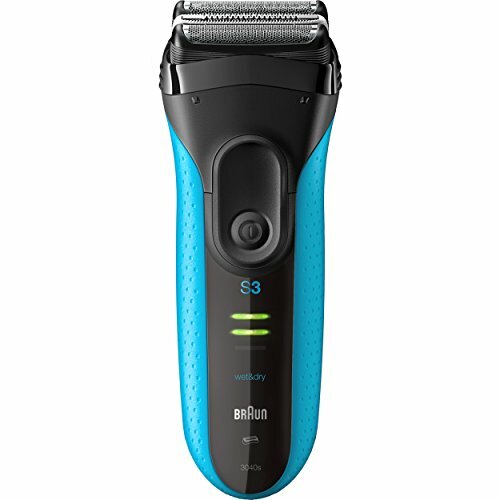 Moreover, the electric shaver comes with dual precision shaving heads that have slots to shave normal facial hair and holes to shave the shortest beard. It also lifts hair to cut efficiently below skin level for a closer shave. 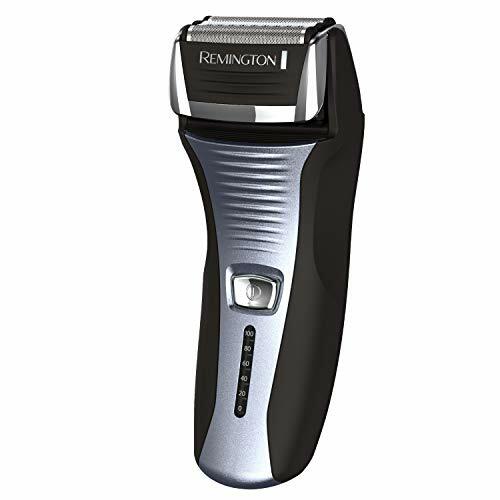 The precision trimmer that comes with this product allows you to shape your mustache and sideburns efficiently. It comes fitted with a dry and wet seal that lets you go either for a wet shave or for a dry shave. This shaver is ideal for beginners, but it can also work for individuals who have experience with electric shavers. The Braun Series 9 9090cc is ranked as the best foil shaver in its category. The shaver won the GQ’s 2016 Grooming Award for the quickest shaver and is the official electric shaver of the NFL. This shaver has both Micro and Macro vibrations that allow more skin contact and elimination of more facial hair. What’s more, its pivoting head allows it to move through every contour of your face. 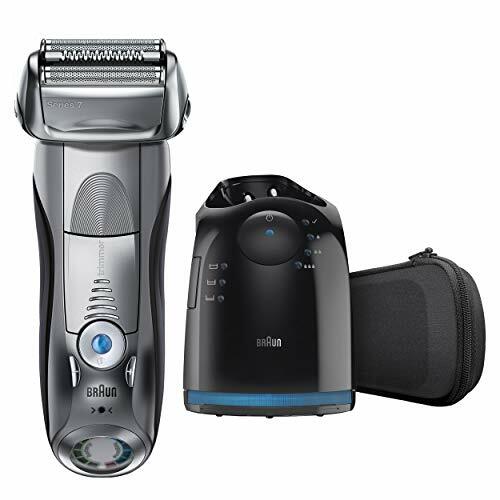 The Braun Series 9 9090cc Men’s Electric Foil Shaver also includes Intelligent SynchroSonic technology. This allows its 4 blade cutting system to cut 40,000 times per minute to deliver fast and efficient shaving on different types of hair. It also has a 5-action, alcohol-based clean and charge station, which efficiently lubricates, cleans, and charges this shaver. It is also 100 percent waterproof. This is the best electric shaver for black men that travel a lot because it is a cordless shaving system. The next item on our list is the Remington F5-5800 Foil Shaver. This product is the best shaver for black men looking to enjoy a smooth, close shave. The shaver allows you to use it when plugged in or when cordless. Even if it is low on charge and you need to shave instantly, it has a 5-minute quick charge function that offers enough power for one shave. However, when on a full charge it offers you 60-minutes of shaving. You can easily wash this electric shaver, and charging only takes 2 hours. Its intercept shaving technology enables it to shave longer hairs to provide you with a closer shave. Moreover, its head has a pivot and flex features that deliver a close shave along your facial curves. This is the best electric shaver for black men who like precise shaving. One of the most affordable electric shavers for black men is the Braun Series 3 ProSkin 3040s. This is the best electric shaver for black men who have to shave on a daily basis to keep a clean shave at all times. It has a simple, ergonomic design that delivers an excellent shave. The shaver features a triple action cutting system: 2x SensoFoil and integrated middle trimmers, which provide you with a comfortable shave. This shaver also features MicroComb technology that allows it to catch more hair from when you begin shaving and enhances a faster and comfortable shave. It also comes with pressure sensitive blades that automatically go back in to avoid harming your skin. You can also use the trimmer included in order to shape your mustache and sideburns to give yourself that outstanding look. It also has an LED display that indicates the shaver’s battery status. What’s more, the shaver is 100 percent waterproof. This electric shaver is ideal for entry-level shavers, they can use it for a wet and dry shave. If you are looking for an electric razor that suits your sensitive skin, the ES-LA63-S Arc4 might just suit your needs. This razor has a 4 blade, dual cutting system. The blades are aligned at 30◦ for closer shaving. The razor also has a high-performance dual motor. The linear provides you 14,000 cuts per minute, while the second motor vibrates this razor’s head to aid in lifting your hair for a clean cut. You can also check out these electric razors for sensitive skin. This electric razor is also available at an affordable price. It can deliver approximately 14 shaves per charge – that’s if each shave takes 3 minutes. 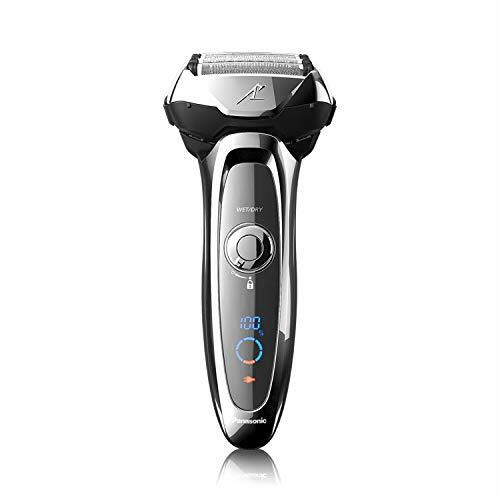 The Panasonic ES-LA63-S Arc4 is also fitted with a 10-stage LCD that indicates the status of the shaver. Its multi-flex pivoting head allows users to enjoy a smoother shave. The ES-LA63-S Arc4 is ideal for men who have some experience in shaving and those that prefer a close shave. Black men have specific hair qualities that demand specific shavers for the best outcome. Cutting curly hairs require razors that don’t leave any skin bumps or any other type of curling. If you would like to avoid such instances, pick the best electric shaver for black men from our list above. If you have ever used any of the products above or need extra information on them, feel free to engage us via the comments section below!